VARRASSO, Gloria A. 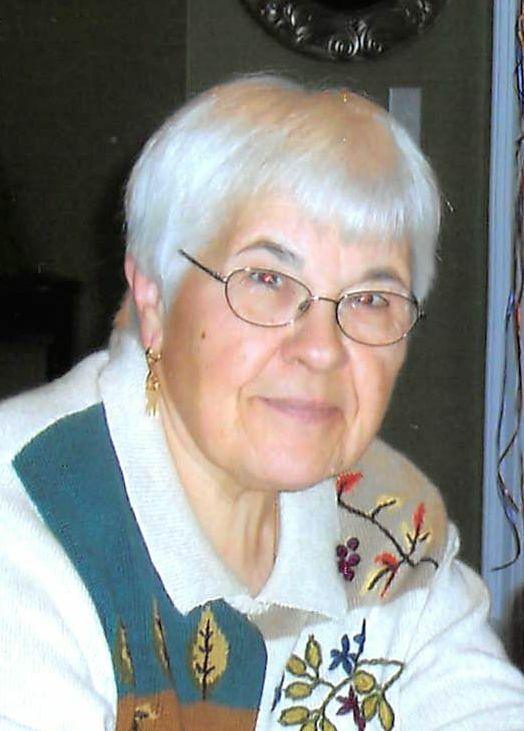 (Mariano), of Braintree, passed away at home, surrounded by her loving family, on March 31, 2019, at the age of 85. Gloria was born in Quincy to her parents Carmine and Pasqualina (Satorio) Mariano. She graduated Quincy High School in 1951. Upon graduation, Gloria worked at Lincoln stores in Quincy until her marriage to John Varrasso, whom she spent 48 wonderful years with. Together they raised 4 wonderful sons. Later in life, she worked at a garment factory in Braintree until it’s closing, then went on to work at John Scott Nursing Home in Braintree for 19 years. After retiring, Gloria volunteered at Abigail Adams Center for Seniors. She worked at the Braintree Senior Center until her illness of cancer. During her time of illness, Gloria met so many wonderful friends, who made a point to always visit her. She will be sorely missed by all who were blessed to have known her. Beloved wife of the late John Varrasso. Loving mother of Michael Varrasso and his wife Sandra of Weymouth, Robert Varrasso and his wife Lynn of Plymouth, John Varrasso and his wife Laura of Hanover and Jimmy Varrasso and his wife Heidi of Abington. Caring grandmother of 4 granddaughters, 1 grandson and 1 grand dog Razzle. Devoted sister of Donna Sacchetti and her husband Fred of Braintree and the late Luigi Mariano and his wife Helen, Americo Mariano, Peter Mariano,Rose Raymondi and her husband Alfred, Jenny Magnarelli and her surviving husband Romeo of Wollaston. Also survived by many wonderful nieces and nephews. Relatives and friends are respectfully invited to attend visiting hours on Wednesday, April 3rd, from 4:00 - 8:00 PM in the Cartwright-Venuti Funeral Home, 845 Washington St., Braintree. A Funeral Mass will be celebrated on Thursday, April 4th, at 10:00 AM in St. Clare Church, 1244 Liberty St., Braintree. Burial will follow in Mt. Wollaston Cemetery, Quincy. In lieu of flowers, donations may be made in her name to St. Jude Children's Research Hospital, 501 St. Jude Place, Memphis, TN 38105.